The American hazelnut (Corylus Americana) was originally used by Native Americans as a seasoning for soup. With its sweet taste, these nuts are excellent for eating raw or cooked in dishes. 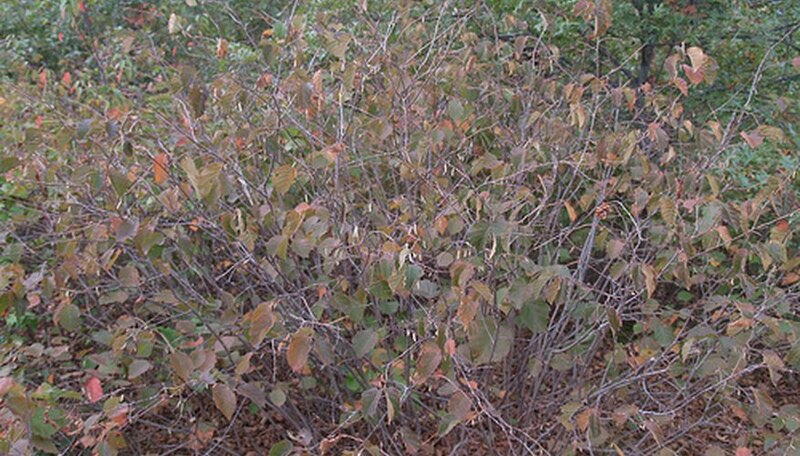 American hazelnut bushes typically produce their first fruit during their fourth year, with an optimal harvest around year nine. Hazelnuts are grown commercially in the coldest states, with the main two being Iowa and Minnesota. Determine the location of the tree. If in Iowa, harvest is typically conducted in July. In Minnesota harvests are typically conducted between August and September with harvests moving further into late September through November a bit farther west (like in Oregon). Pick a nut from the bush to determine its ripeness. The ideal time to harvest American hazelnuts is as they are becoming loose in their husks. This prevents crop loss to animals. Depending on the plant, the husk will either appear green and moist or be brown with spots and starting to dry out. Remove the husk from the nut. If the husk is easy to peel away, then the nuts are ready for harvest. Pick any nuts with a similar appearance to the one already picked for testing. Post-harvest, treat the nuts for optimum quality. If the nut's husks are green and moist, then they will need to remain in a warm, moist place for two weeks to be permitted to finish ripening. If the nut's husks are dryer with brown spots, then they can be further dried out by spreading the out in a well ventilated, but mouse proof location. Alternatively, the ripe husks can be hung in an onion bag or placed at a low temperature in a crop dryer. Husk and shell the nuts. Given that supply of American hazelnuts is still limited, most farmers husk and shell their nuts by hand. Larger groups can be husked by beating the clusters and the seeds cleaned with a standard seed cleaner. As an alternative to picking the nuts by hand, many farmers have had success with using a blueberry harvester. Straddling a bush, the machine is able to remove the ripe nuts and leaves the unripe for the next harvesting round. Ann White is a freelance journalist with prior experience as a Corporate and Business Attorney and Family Law Mediator. She has written for multiple university newspapers and has published over 300 articles for publishers such as EHow and Garden Guides. White earned her Juris Doctor from Thomas Jefferson School of Law and a Bachelor of Arts in English literature. What Are the Different Types of Persimmons? Are Cherries Edible From Wild Cherry or Choke Cherry Trees?